Danielle Brigida leads social media strategy at the U.S. Fish and Wildlife Service. An early adopter of social media with creative, engaging campaigns that are grounded in meaning. Danielle has been recognized as one of the 10 Most Generous Social Media Mavens by Fast Company; one of the 75 Environmentalists to follow by Mashable; One of 10 People to Follow Who are Saving the World by Mother Nature Network. Danielle has been interviewed about social media by USA Today, The New York Times, Fast Company, Washington Post, and Mashable. It’s a great way to make contact with other nature and science bloggers. Have you been able to get on natureblognetwork? I signed up twice but haven’t heard anything. Let me know if you do! Hi! My name is Chris Palmer, and I’m a film producer and professor at American University in Washington DC. I stumbled upon your site and thought I would let you know about my new book, Shooting in the Wild: An Insider’s Account of Making Movies in the Animal Kingdom, which will be published by Sierra Club Books in May. Wildlife and nature films are a hugely popular entertainment genre, and as cinematic technology continues to bring breathtaking images to the screen, an ever-expanding audience craves this indirect relationship with nature. Together, we can foster a new breed of wildlife filmmakers. Thank you! Just stumbled upon your blog thanks to a Google alert. Thanks so much for including Community Organizer 2.0 in your blogroll – I’m quite honored. I wondered if you would be interested in exchanging links with The Green Providers Directory. We are listed in The Guardian and Channel 4’s environmental sections and on green.tv, a United Nations Environmental Programme, and we are members of Ethical Junction. I am very interested in learning more about what you do and how you do it. I live in Pennsylvania and have a B.S. Degree in Meteorology and a Teaching Certificate in Secondary General Science. I am all about interacting with nature and photographing the amazing everyday things that most people don’t stop to appreciate when they see them! I am just about finished with my website, BioStream.org. I would love to tell you all about it and maybe we can help each other somehow! I promise you will be interested! I am so happy to have found your blog!! I began the Maryland Master Naturalist program last October (almost a year ago!) and I wanted my project to be along the lines of social media and how (if at all) it impacts people getting outdoors. That topic did not pan out as a Master Naturalist project. But I pursued the concept anyway. I started my blog simply as a means of expressing what I’m learning, but added a twitter and facebook account to learn more about the interaction of social media and naturalism. I look forward to spending time catching up with your blog. 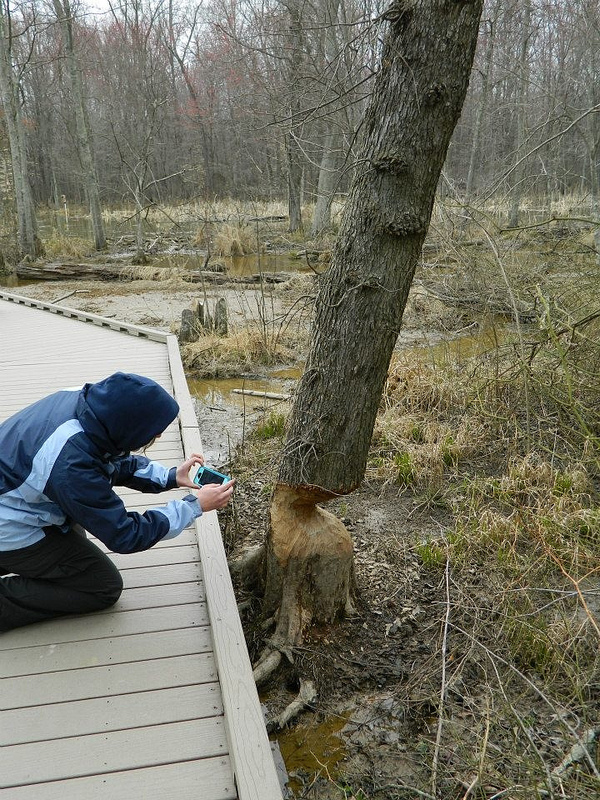 That’s awesome that you’re doing the MD Master Naturalist Class! I’ve been investigating VA but instead went the Audubon/Graduate School Field Studies certificate route! What are you thinking so far? Would love to chat with you sometime!